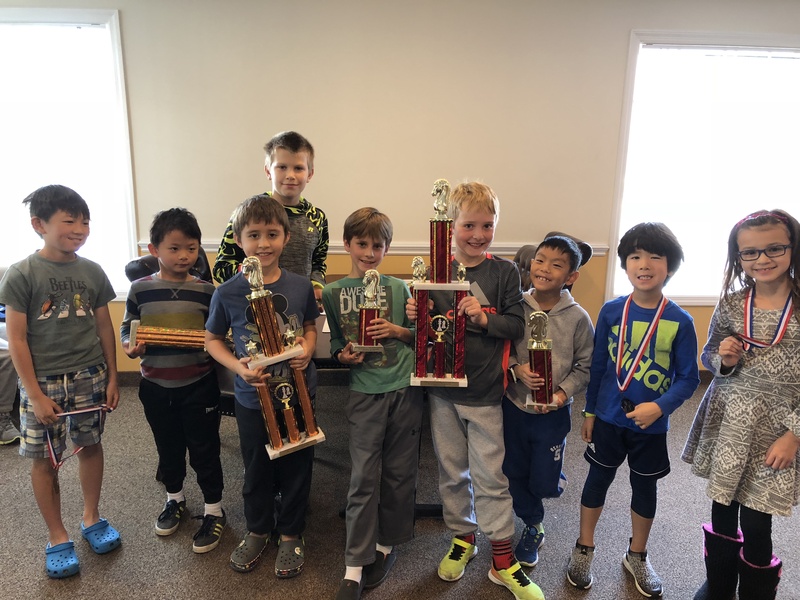 Twenty-six contestants competed in October's K-12 Scholastic Championships. The K-12 section consisted of fourteen players and the remaining twelve individuals formed the K-5 and K-2 sections. Tyler Marcus took first place in the K-2 section. He was followed closely by Ethan Kwong who finished second. In the K-5 section four people achieved a hardy score of three points. 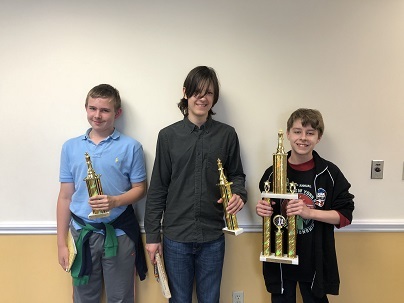 Henry Buczkiewicz placed first on tie-breaks, followed by Anthony Low in second, Ian Moffitt placed third, Avery Beck placed fourth and Iri Pullepu finished in 5th. The K-12 section was led from start to finish by John Weigand, who took first place with a perfect 3/3 score! Also scoring a perfect score and taking second on tiebreaks was Alex Mayo. 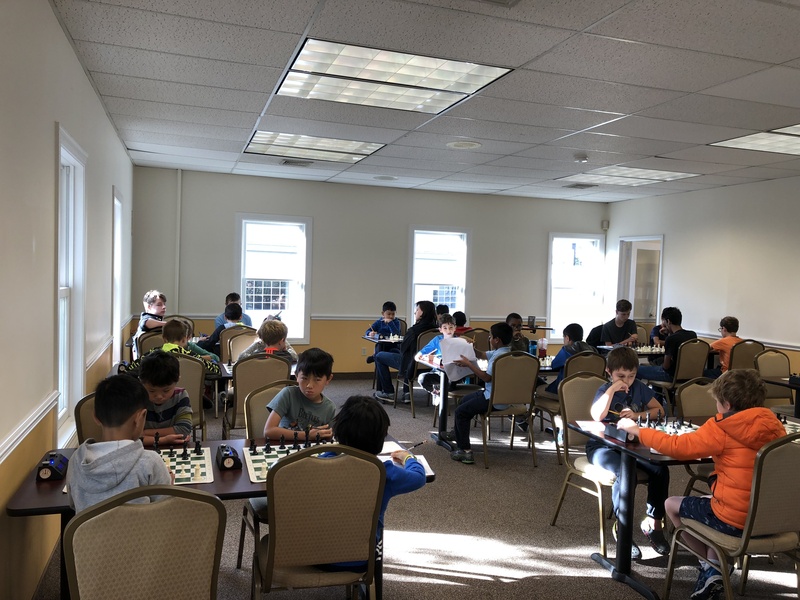 Nathaniel Moor, Matthew Liew, Nicholas Kurbanov and Rohan Awasthi finished with two points each and finished in 3rd - 6th respectively. As always we continue to be impressive by the great sportsmanship and comraderie demonstrated by all of our participants. Congratulations to all our winners and thank you to all our competitors. We hope to see you next time!